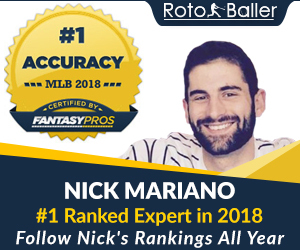 Hello fellow RotoBallers! 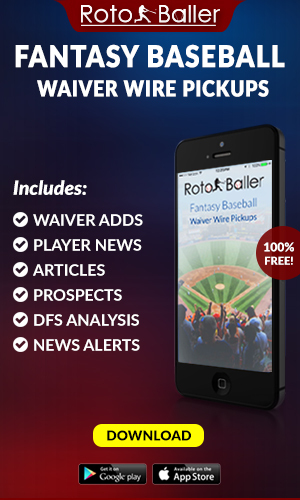 Sabermetrics have become an integral tool for fantasy baseball draft prep, but a concise resource for understanding the basics can be difficult to find. 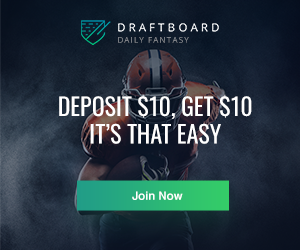 This series attempts to define and explain all of the metrics fantasy owners may find useful, citing examples of how to use them in the process. Twenty degrees in applied mathematics are not required to use advanced metrics effectively, and this will be a no-math zone. We also won't bring in many of the metrics that are synonymous with advanced stats, most notably the fantasy-useless WAR, or Wins Above Replacement. 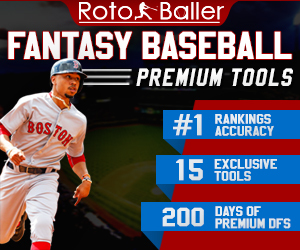 Instead, the focus will be on sabermetric statistics and ideas that are useful for predicting the standard stats the vast majority of leagues care about, such as batting average. 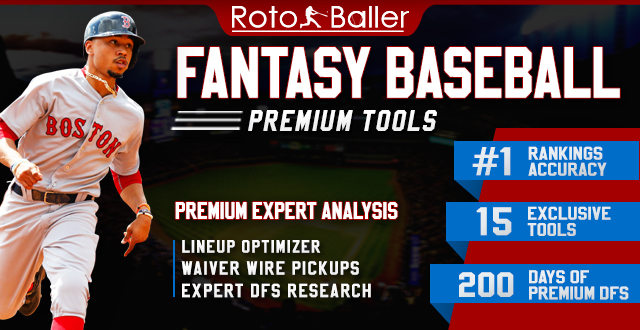 The most accessible of the fantasy-relevant advanced stats is BABIP, or Batting Average on Balls In Play. It simply measures a player's batting average on balls in play, with outcomes such as strikeouts and home runs removed from consideration. In general, the league average hovers around .300, a nice round number to remember. Many know BABIP as an approximation of luck, with either a very high or very low number indicative of a major batting average regression in the future. That is partially correct--the stat can be used to predict batting average fluctuations. However, a player's skills may allow him to run a better than average BABIP, or doom him to a consistently below-average figure. One example of this is Mookie Betts. Betts has been a fantasy force for a while now, but he took it to a new level with his MVP slash line of .346/.438/640 in 2018. A .368 BABIP helped him compile those numbers, and Betts loses a lot of value if we regress that all the way to .300. Should we really do that? Betts is an elite speedster--he managed to steal 30 bases last season, after all. It makes sense that someone with Betts's wheels could beat out more base hits than other players, while most catchers would lag in this regard. Therefore, an established player's baseline BABIP should not be the league average .300, but whatever that specific player's career BABIP is. Betts's career BABIP is .315, clearly indicating a sustainable ability to beat the league average .300. Of course, .315 is still a lot lower than his .368 figure from last season. If we assume Betts can beat the average BABIP, how do we know if he was, in fact, fortunate? The answer is to look at BABIP by batted ball type. Betts gets his speedster hits exclusively on grounders, as running really fast does nothing to prevent a fielder from catching a ball in the air. While the league averaged a .236 BABIP on grounders, Betts posted a .374 mark on them last year. His career rate is only .316. Therefore, we can conclude that Betts will continue to outperform the league average on ground balls because his .316 career BABIP is much higher than the league average. However, he is unlikely to do so to the same extent he did in 2018. Comparing BABIPs by batted-ball type year over year, Betts also benefited from more fortunate fly balls and line drives in 2018. His fly balls had a BABIP of .152 against a career mark of .138, while his line drives beat their career average by a whopping 75 points (.747 vs. .662). Regression should be expected to reduce Betts's BABIP toward his career .315 rate, but he still projects to beat the league average mark of .300 by a considerable margin. The same trend is possible in a negative way. For example, Anaheim's slugging DH, Albert Pujols, is well known for being an all-or-nothing batter that pulls the ball at every opportunity. This makes him susceptible to the shift, as the infield defense knows where the ball is likely to go and can set up accordingly. He also lacks the speed to beat out infield hits most other major leaguers can, finishing dead last in Statcast's Sprint Speed metric last year. These factors figure to hurt his BABIP on grounders, and Pujols's .160 last year indicates that it did. This is not a new trend, as he hit .192 on grounders in 2017, .217 in 2016, and .179 in 2015. Clearly, projecting regression toward the league average would be wrong, as his pull tendencies and subpar speed allow the defense to consistently perform better than average against him. Pujols's overall BABIP was .247 last year, a number that should be expected moving forward due to his consistently poor production on ground balls. To conclude, BABIP can be used to indirectly measure a player's batting average luck by comparing it not to the league average of .300 but to an established player's career number. Foot speed, batted ball authority, LD%, and defensive positioning all give players some ability to manipulate BABIP. Players with these skills may still overachieve, and this regression can be predicted by examining BABIP by batted ball type. Younger players without an established baseline are generally regressed to the league average, but these predictions are less reliable than those based on a player's personal history. Next time, we'll look at a stat called the BABIP of power, HR/FB.